He could pound you into the dust. The Ace of Wands represents Power. There are many kinds of power. Some people embody power through their strength of personality, using their charisma or money or connections to get what they want. 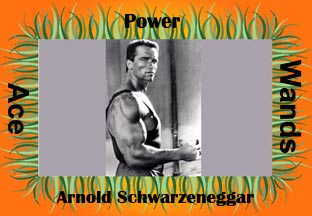 Some people, like Arnold Schwarzenegger, back up force of character with physical power.